Proposed student residence for Wesleyan University, designed in 2016. 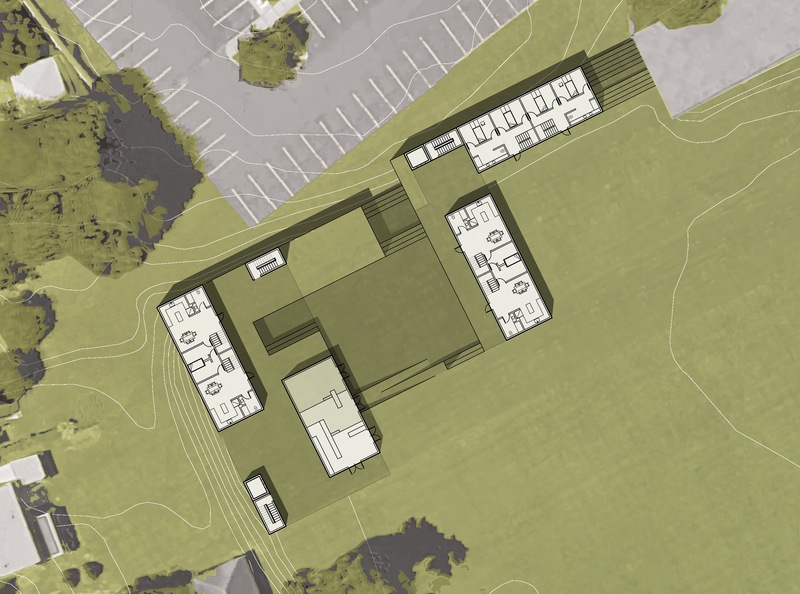 Built into an existing slope, North Jackson aims to create a natural segue from an elevated field to academic and arts buildings below. Integrated landscape and architecture provide a terraced progression, allowing for both passage and pause. A multi-use café adds informal social space within the Center for the Arts, while perpendicular structures frame a courtyard and define the northwest corner of campus. Variety in living arrangements accommodates flux while fostering community in a new hub of activity. Room and suite arrangements were designed collaboratively by the studio to create an efficient and scalable model that could be implemented in various configurations.